Silon-STS® Silicone Thermoplastic Splinting is the first product ever to combine the moldability of a thermoplastic splinting material with a therapeutic surface of silicone sheeting. 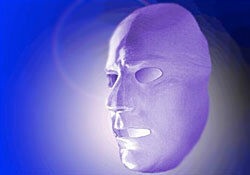 For decades you’ve been using transparent orthotic materials to manage burn scars of the face. 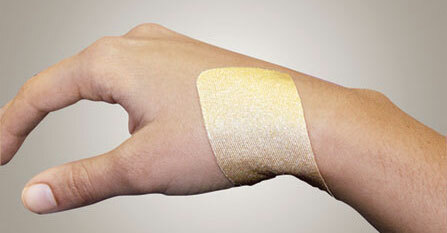 More recently you’ve been using silicone sheeting to manage scars. Now, through a revolutionary technological development, you can use both techniques in a single step! You can use customary forming techniques to shape Silon-STS® over a plaster mold, trim as desired, and attach straps as needed. And since Silon® works without pressure, you can achieve effective scar management of soft areas of the face, closer to the eyes, the nostrils and lips. 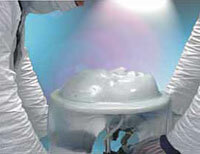 Using a Vacuum Forming Apparatus, we can assure a perfect fit with optimal detail of your patient’s face. Your plaster mold will be returned with the finished mask.